View cart “Sparkling Lace Overbust Corset” has been added to your cart. 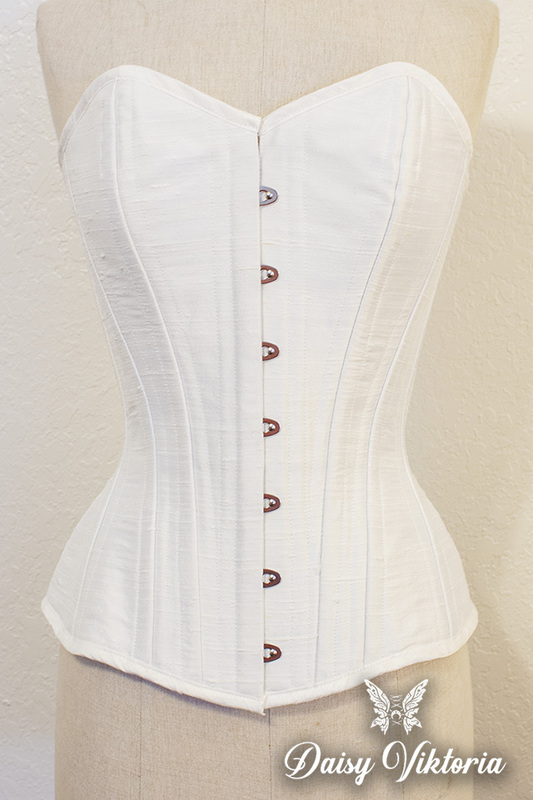 The perfect base overbust corset! 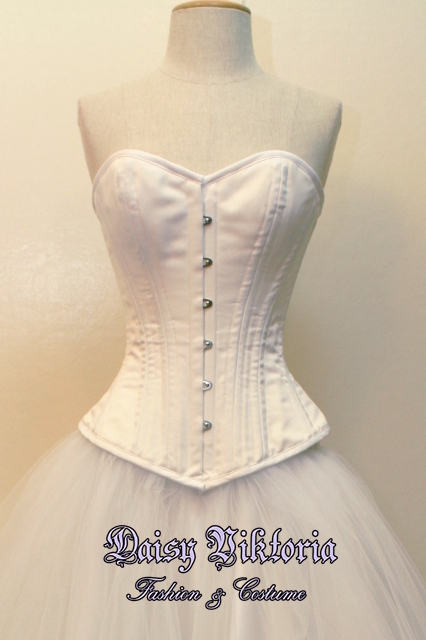 Made of white satin or silk, your choice, this corset is a wardrobe essential. 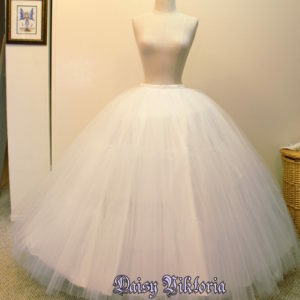 Combine this with another separate to create your own personalized fairytale gown! 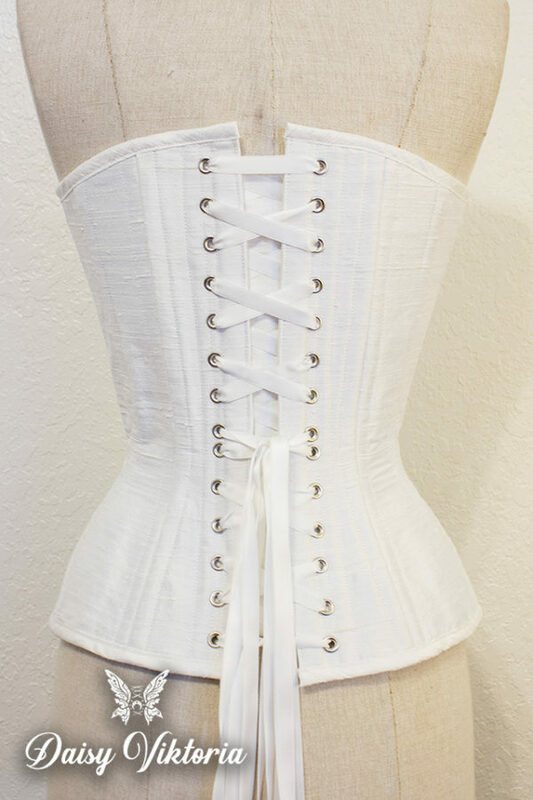 The corset is steel boned using a combination of spiral and flat steel boning for real silhouette enhancement and features waist tape to maximize the life and cinching ability of your corset. 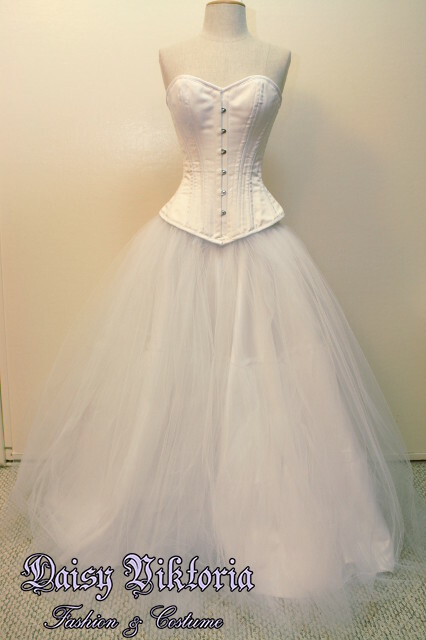 The corset laces in the back using double sided satin ribbon. 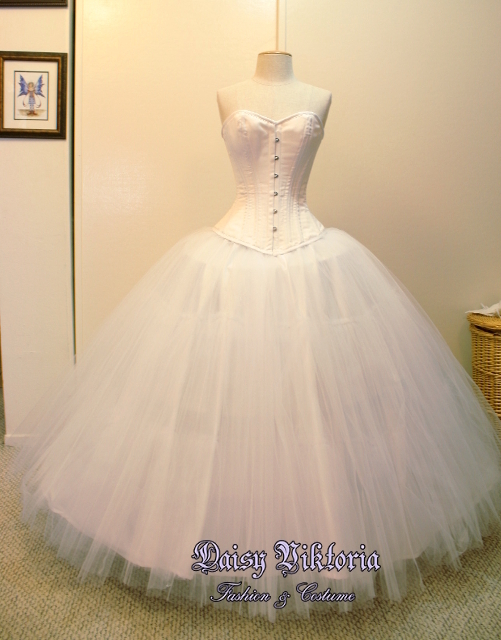 You can purchase just the corset, or you can add a skirt, also available in our shop. 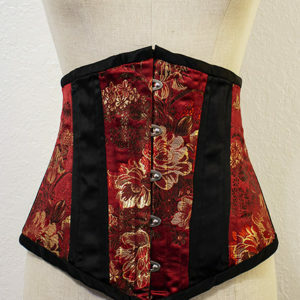 This corset will be custom made to your individual measurements. 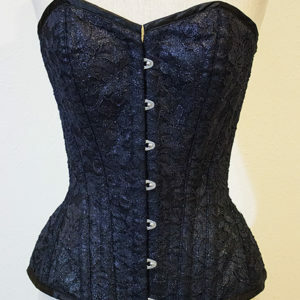 Our corsets are steel boned and meant for heavy duty shaping! If you are looking for a custom made corset or costume not available in our shop, please use the Order form to contact us and let us know what you’re looking for! 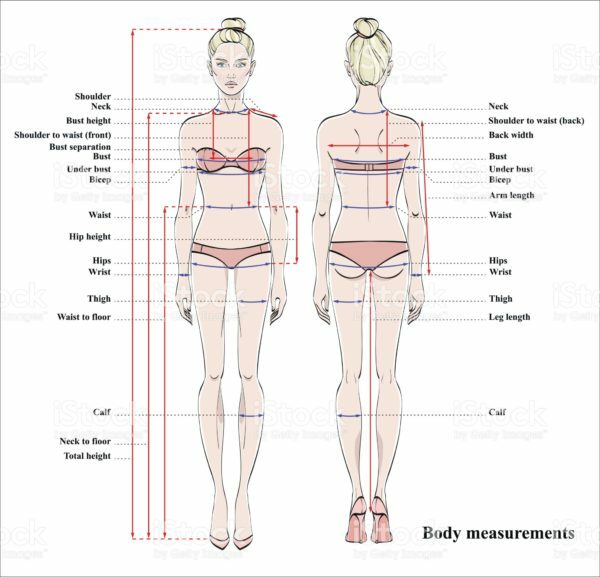 One you place your order, we will send you a detailed form to fill out with your measurements.